When Volvo announced its Euro6 product line up last April, Hakan Karlsson, now Head of Business Areas Volvo Group, which includes Volvo Buses, made it clear that the company was already looking much further ahead towards a future based on electromobility. Present at the event was a significant step on that journey, the first plug in hybrid that Volvo has produced for Europe. It is a development of the 7900H hybrid bus available in the UK that, along with its predecessor the 7700H and the B5LH double deck, has now sold well in excess of 1,300 units worldwide. Hakan offered me the opportunity to go to Gothenburg and see the plug in technology in action, and during December I took him up on that offer. Under the leadership of Business Region Gothenburg, a project involving five partners was agreed to evaluate the vehicles in service for 10,000 hours. It is referred to as Hyper Bus; the Hyper part derived from HYbrid and Plug-in Extended Range bus system. The partners are: Business Region Gothenburg; Volvo AB, who are providing the buses; the City of Gothenburg Transport Department, who are taking responsibility for metering and calculations; Gothenburg Energy, the local energy company, who are supply the charging stations; and Västtrafik, the local PTA, who manage the routing and supply of drivers. The total budget for the project is SEK32m (£2.98m) of which 48% comes from the EU’s LIFEplus scheme, 38% from business and 14% from the public sector. 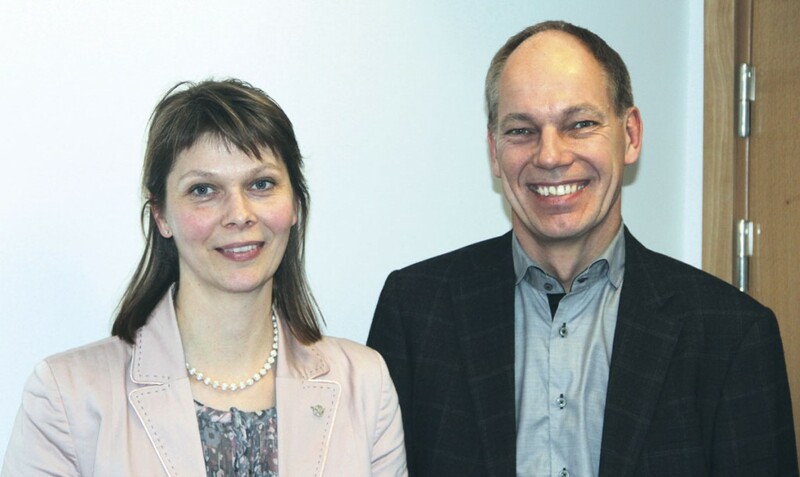 I spoke to Roger Vahnberg, Senior Vice President of Västtrafik and Hanna Björk, Environmental Strategist with the organisation, who explained that as the local Passenger Transport Authority, Västtrafik is responsible for all public transport within the province of Vastra Gotaland. It is a growing region with a plan to increase the population from 950,000 to 1,500,000 by 2025 through both extending the area and inward migration. One of the results of this will be a growth in the need to commute with a doubling of usage of public transport to 380million journeys annually predicted. 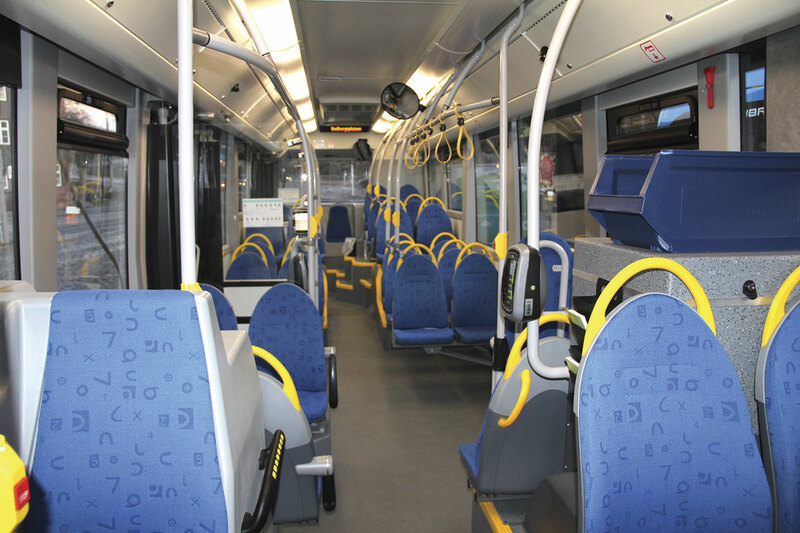 There has been major investment in all forms of the area’s public transport already and a congestion charge has been introduced in Gothenburg, though it is currently set at levels way below those of London. Before it was introduced there was major expenditure in new and longer trains and trams. €1billion was spent on a 75km dual carriageway and double track railway to the town of Trollhättan and, as part of the West Swedish Agreement, bus lanes have been increased from 30km to 90km, there is a new rail tunnel, and there will be a new bridge over the Gota River as well as a number of environmental and safety measures. In addition there are 2,000 extra car spaces on park and ride schemes and additional facilities for cycling. Together, the measures have seen encouraging results so far with express bus ridership up 20%, commuter train patronage up 13% and an increase in the share of public transport in the corridor to the north of the city from 23% to 32%. From 1999 to 2012, public transport journeys icreased from 177 million to 262 million annually and they are continuing to grow. Roger and Hanna explained that the region has a number of goals that it is seeking to achieve. One is that energy efficiency will be increased so that consumption is reduced by 25% by 2025 compared with the 2010 figure. Having started in 2009, it aims to reduce PM and NOx by 60% by 2025, compared with the average of the Swedish fleet. Another objective is to be 95% fossil free by 2025 in energy use, promoting a switch to renewables. This is being achieved in stages so that in 2012 the fleet was 30% fossil free, the 2016 target is 75%, the 2020 target is 90% and the intention is that the 95% goal should be accomplished by 2025. For the past four years all contracts tendered have had to be at least 90% fossil free. Most operators use biodiesel as a renewable although sometimes they opt for biogas with 200 biogas buses running in Gothenburg and a further 100 in the county. A problem with it is whilst there is a political will to have biogas it is not especially energy efficient so it does not assist Västtrafik in its already tough goals to increase energy efficiency. For this reason, unless biogas can become more efficient, it is likely that the area will go further down the hybrid route and won’t have more gas. A measure of the success so far is that already 65% of passenger km is operated using fossil free fuel, so the organisation is well on its way. The organisation is also seeking to reduce noise so that guideline indoor noise levels of 30 dBA 24-hour average value and 45 dBA night time maximum are always adhered to and the outdoor level at the front of a building should not exceed 65 dBA. For the project, Volvo took the existing two-axle 7900 Hybrid to Euro5 standard and added additional battery capacity as well as the facility to download electrical energy via a retractable lifting connection on the roof. The diesel engine is the 4.8-litre Volvo DS215 unit which produces 216hp (161kW) and torque of 800Nm. The electric motor is a 203hp (150kW) unit producing a maximum of 1,200Nm. This is a stronger motor than the 80kW unit used in standard Euro5 hybrids and is the system that will be provided in the Euro6 artic 7900 Hybrid. The batteries are lithium iron phosphate units with a 28kWh capacity. The interior layout is identical to the hybrids running on the route but the higher weight with the additional charging equipment and batteries reduces the total passenger capacity by six, I was told. The kerb weight is shown on the vehicle plate as 13,574Kg, the load capacity as 4,420Kg, and the seating capacity as 34 plus 33 standees though the details displayed above the entrance door say either 32 seated and 37 standing, 34 seated and 35 standing or 32 seated, 33 standing and one wheelchair. Each of the three buses has a name – Elena, Elenor and Elida – the EL being a pun on the Swedish slang terminology for electricity. 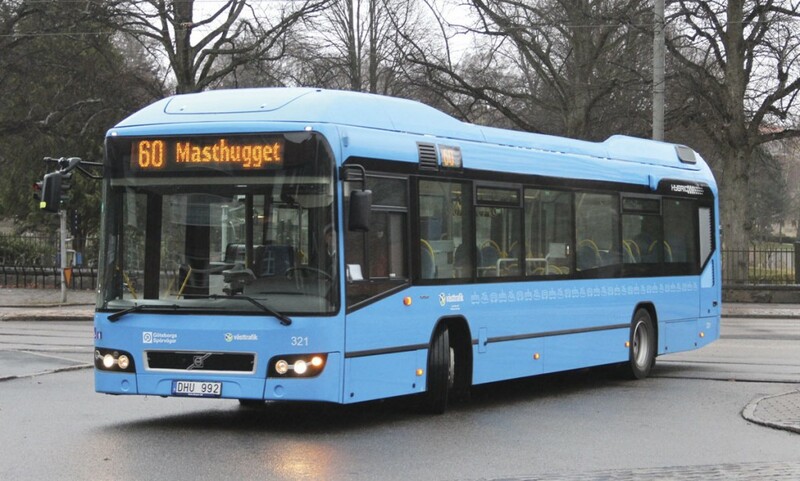 They carry the standard blue of Swedish city buses with an additional green lower area representing countryside and white wind turbines. 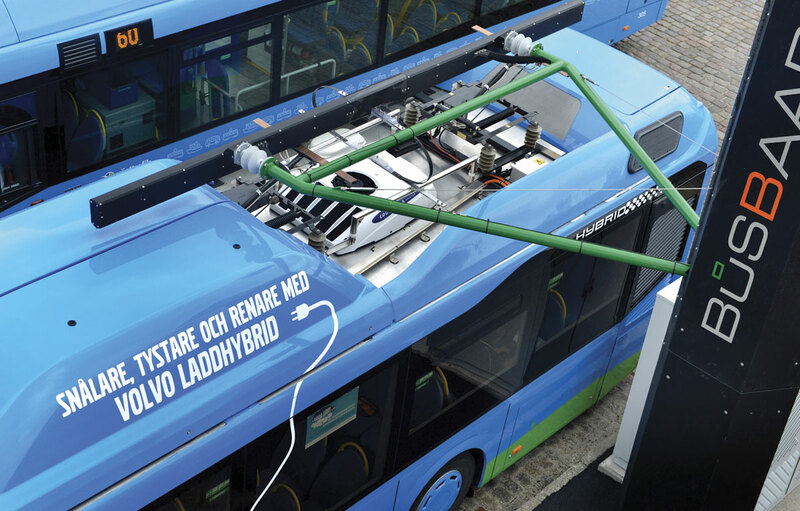 A wire graphic leads from the turbines to a plug image on the cover of the roof mounted charging system and the words, ’Skalare tystare och renare med Volvo Laddhybrid’ (efficient, quieter and cleaner – Volvo’s plug-in hybrid). The route chosen was the busy 60 service running from Redbergsplatsen via the City Centre to Masthugget, a distance of 8.3km (5.2miles). It incorporates 24 stops and carried 4.7m passengers in 2012, a figure that rose by around 10% in 2013. It is currently operated by 18 of a fleet of 25 Volvo 7900H hybrids in the fleet of GS-Buss, which were delivered in the summer of 2012, having previously been run with gas buses. GS Buss is a subsidiary of Göteborgs Spårvägar AB that was founded in Gothenburg in 1879. The company is 100% owned by the city of Gothenburg and operates only in Gothenburg. It has a fleet of 54 buses, all of them Volvos based at the depot at Kruthusgatan. The hybrids on the 60 all continue to run with the three plug-in hybrids added in as a bonus to passengers that does not appear in the timetable. The Hyper buses run between 06.00 and 18.00 though the hybrids operate from 05.00 to 24.00, later on Fridays and Saturdays. It is a route with steep hills at both ends and a largely flat central section that provides a good opportunity to demonstrate both that the plug-in will climb hills well and run for prolonged distances in electric mode. The highest point on the route is around 70 metres above sea level while the lowest is virtually at sea level. With 24 stops, it carries around 400,000 passengers a month and 4,750,000 annually, the journey taking 35-36 minutes. Charging is undertaken at each end of the route at two charging stations. The one at Redbergsplatsen was installed first and was followed some months after the beginning of the trials by a second at Masthugget that had hitherto been used at Volvo’s Hallered test track as part of a testing programme the buses were put through before entering service. 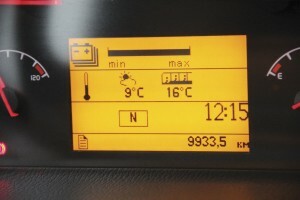 The system was supplied by the Spanish company, Opbrid SL. Significantly, given Vasttrafik’s aim of becoming 95% non reliant on fossil fuels by 2025, the electricity used is locally generated from wind by DinEl. Each station is connected to a 400V AC supply, has a charging capacity of 100kW, and charges the bus at 600-750V DC. To completely charge the bus takes 10kWh and this costs SEK12-15 (£1.12-£1.40) for the electricity used and losses in the charging station. Investment in each of the two stations was SEK3m (£280,000) including development costs, though it is thought that if they were to be offered in large scale production, the likely market price would fall to beneath SEK1m (£90,000). The charging process requires the drivers to position the bus accurately beneath the charging tower in order that it successfully marries up when the charging bar is raised from the bus roof and the arm on the charging tower lowers to make contact with it. The tolerance in positioning is +/- 40 cm sideways and +/- 70 cm lengthways. As the bus gets within 10-20m of the station, the system begins to communicate via Bluetooth. As he stops and pulls on the handbrake, the system recognises that the bus is ready for charging and imparts that information to the station. The driver then presses a button above his head to initiate charging. The bus raises its pantograph on the roof to meet the charging bar which is lowered from the station. A safety check procedure is run through automatically that ensures the system is properly connected and there are no isolation errors. It also checks the connection to the charger switch unit and when all tests are done orders a pre-charge. The station then increases the voltage to the same as the 600V as the bus and when the same levels are achieved closes the connection and completes the connection between the high voltage system on the bus and the charging station. Only then does charging start. 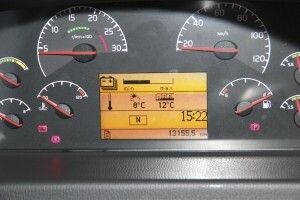 The dash display indicates to the driver the level of charge taken on. A further press of the button at any time during charging will terminate the charging process if it needs to be interrupted before completion. There is no need to shut anything down when charging but as a precaution people are not allowed into the saloon area of the bus during the process. All of the tests take around 20 seconds after which the actual recharging process takes six minutes. If for any reason the bus is unable to download energy from the charging stations, it can function on diesel alone in the same manner as a hybrid bus. In electric mode, the range of the Plug-In hybrid is approximately seven kilometres.